A few weeks ago, I was lucky enough to win a giveaway! The prize was a gorgeous beauty box from Look Fantastic which was filled with goodies to enhance your summer glow for the season. Lots of the brands in the box were completely new to me, so I decided that a blog post sharing some of these new product discoveries would be a great way to share them. 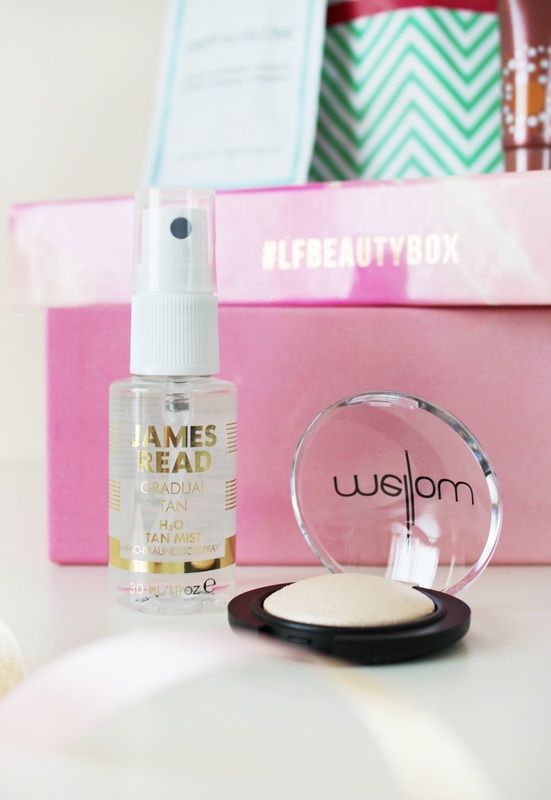 One of my most exciting summer discoveries this month has to be the James Read H20 Gradual Tan Mist which gives the most gorgeous radiance boosting glow both underneath and on top of makeup. It’s perfect for a spritz of moisture, and subtle golden tan which builds gradually throughout the day. The formula is stain-free and infused with rose water to keep skin supple and fresh, and it works as a gorgeous setting spray after applying makeup. Speaking of makeup, the box contained a full size Mellow Baked Eyeshadow in Cream which is such a lovely warm ivory brightening eyeshadow. I have loved using mine in the inner corner of my eye for a subtle awakening effect. As it has a satin finish, it doesn’t look too harsh and lightens your eye area without appearing unnatural. It’s incredibly affordable too, so I’ll definitely be taking a look at the other shades in this collection! I have always been intrigued by coffee scrubs, but when it’s infused with summer, it’s all the more exciting! The Scrub Love Hydrating Body Scrub in Coconut Cranberry is the perfect summer body scrub with anti-oxidant rich, skin loving ingredients. The coconut shell is meant to remove dead skin cells, whilst the cranberry oils hydrate the skin and boost radiance – sounds perfect, right?! It smells incredible too, and it’s such a quick and easy product to use in the shower. Another facial care find has been the Real Chemistry Three Minute Peel which is probably the most unusual product in the beauty box. It’s a gel textured cleanser that solidifies into small rubbings as you apply it in circle like motions on your face. These ‘rubbings’ contain dead skin which has been peeled off your face (it sounds gross I know! ), but it really leaves your skin feeling new and fresh. The NuFace Prep N Glow Cleansing Cloth is the one product that I have officially tried yet but I’m very excited to use. I’m actually saving it for the plane trip to Canada because it claims to be the perfect little cloth for on the go cleansing, exfoliating and hydrating – like a three-in-one cleansing routine, which makes it ideal for travel. This sounds ideal for any summer holidays coming up, and they’re the perfect size to fit into your handbag. Last but certainly not least, there’s a little haircare discovery. The System Professional Luxe Oil Reconstructive Elixir has been all that I’ve used on my hair recently. It’s a lightweight oil that works to condition, nourish and reconstruct hair from within, defending against dryness and the harsh external atmosphere. One pump of this goes a really long way, so I know that even this mini size is going to last me a while! All in all, a gorgeous summer box! 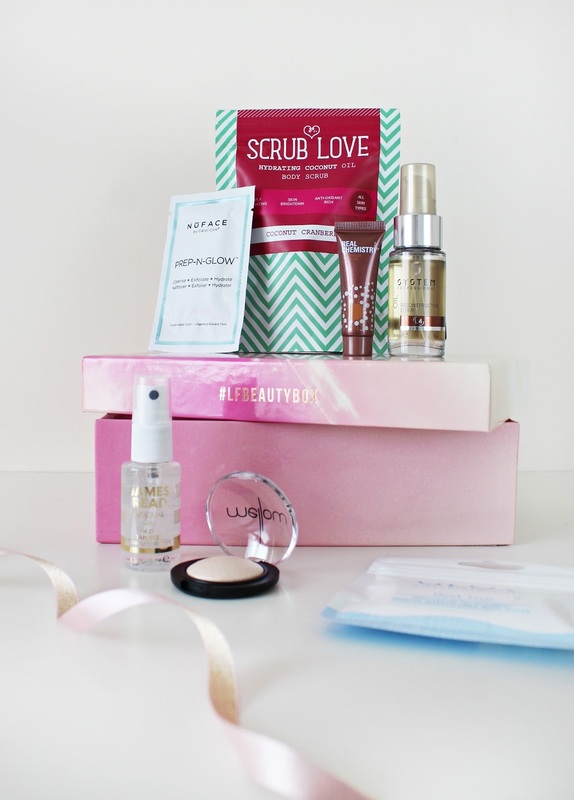 I’ve always been a bit sceptical about beauty box subscriptions as I never know if they are really worth it – but this one certainly seems it. The samples were incredibly decently sized, and it had a whole range of beautiful products to try. Have you tried any of these gorgeous summer products? Previous Post Strawberry Lime Mocktails.